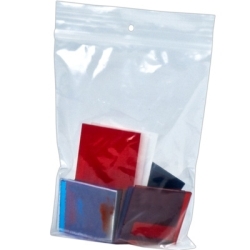 3" x 8" Reclosable Bags with Hang Hole | U.S. Plastic Corp.
Transparent bag provides protection for contents and clear visibility. These bags meet FDA standards for food handling applications. Dimensions listed are the I.D. of the bag.